Thoughts on new interaction functionality for emoting on the Facebook platform. On Friday the ninth of October 2015, Facebook launched an expansion of their liking interaction. Now instead of merely being able to ‘like’ a post, comment, add a photo, and so on, users are able to express a broader set of reactions to things they view on Facebook. While the beloved thumbs-up is still present, users now have the power to express love, three types of positive surprise, sadness, and anger with a new set of emojis. Mark Zuckerberg announced that this new range of reactions will allow people to express empathy with others on the platform. The idea being that, if somebody posts about their recent cancer diagnosis, for example, a user can now react with an appropriately teary-eyed emoji. 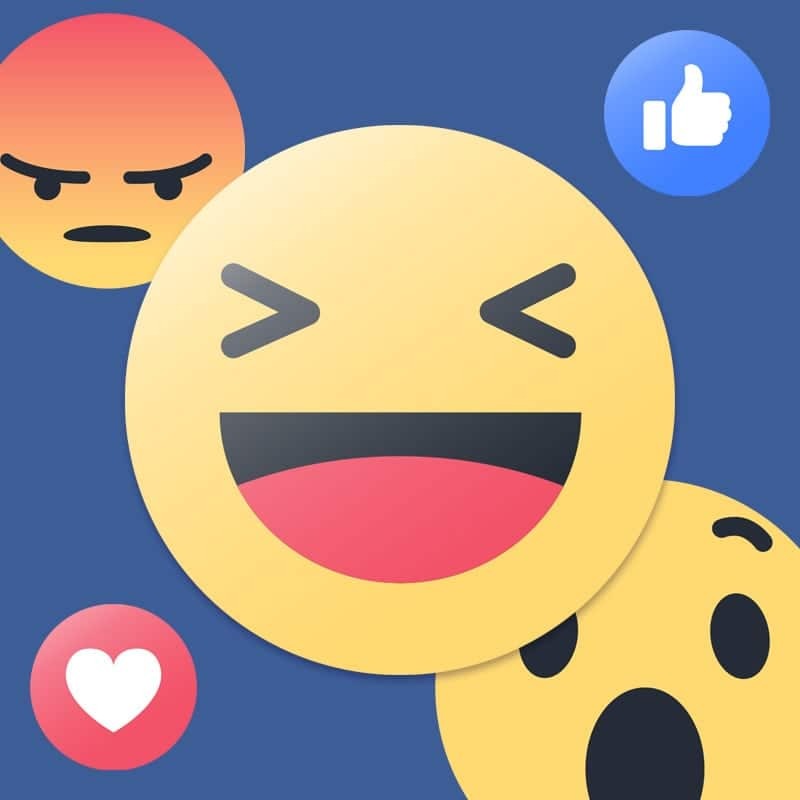 Without being overly sarcastic, the point is that the goal of these new reactions is to allow users to express a wider, more nuanced set of emotions. But when it comes to expressing emotion in reaction to something serious like the above example, is an emoji really going to be appropriate? Before decrying these new buttons as being overly-simplistic and shallow, it is important to remember that shallowness is a feature of this platform. The promise of Facebook is that it provides instant connectivity to anyone, at any time, anywhere. The problem though is that this promise is hidden behind a plate of glass and manifested in a pattern of pixels. So, in spite of the efforts of Facebook’s designers, the platform will continue to retain this shallowness until it moves beyond the screen and into some richer form of future interface. What is potentially interesting about these new buttons is not what they give to the users, but rather what they take from them and give to Facebook. The ‘like’ button in its previous incarnation provided Facebook astonishing insight into user’s identities and behaviours. For example, they were able to predict with a 60% success rate if a user’s parents were divorced before they were 21. With these sorts of insights, Facebook has been able to sell ever more targeted and relevant demographics to advertisers. This has netted them millions of dollars so far. What will dividing the ‘like’ button into six new types of interaction do for Facebook’s data collecting engine? Is it much of a stretch to imagine that by doing this Facebook will be able to produce more granular and insightful data about its users with which to generate more revenue? And what of Facebook’s declared intention of building an AI, could these new interactions aid the process by refining and improving the information that they collect? For the users of Facebook, these new interactions present a minor upgrade to their current experience. Some people will love them, others will hate them, and many more will be indifferent. The impact on individual users will most likely be low. However when all those ‘Likes’, ‘Loves’, ‘Ha-Has’, ‘Yays’, ‘Wows’, ‘Sads’ and ‘Angrys’ are multiplied across a network as vast as Facebook’s, the net impact could be much greater than we realise.